What are the odds that when Interpol looks in the mirror they see the members of Joy Division in the reflection? That’s the impression most people are getting upon first listen. The thick baritone delivery of singer Paul Banks could pass him off as an Ian Curtis impersonator, but upon further listens you may begin to think differently. 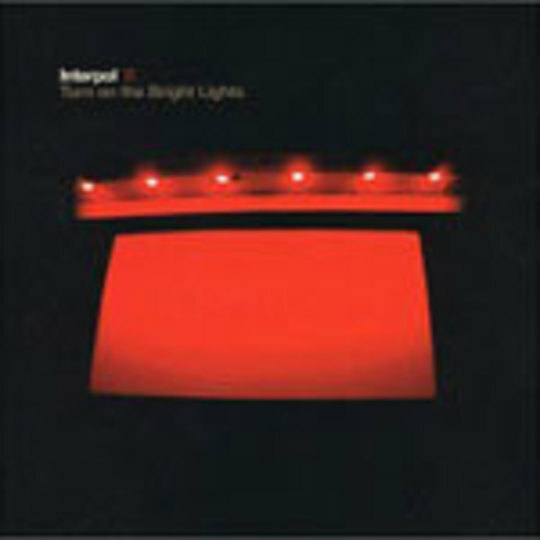 With Joy Division comparisons aside, Interpol’s fantastic debut album 'Turn On The Bright Lights' come across like a long drive down a foggy road with the sounds of echoing guitars and driving percussion guiding you along the way. They may just be another band to come from that musical melting pot of New York City, but they have crafted an atmosphere of sound rarely seen. The instrumentation is tight and dynamic, rebuilding itself throughout. Each song is delicately stripped and rebuilt as if it was a musical puzzle which was smashed and then remade, revealing a different shade of beauty ever time. The breezy sounds of guitars border each new arrangement as hazy vocals fill in the holes. From the sweeping choruses of 'PDA' and 'The New' to the gloomy sounds of 'NYC' and 'Untitled', Interpol position themselves to grab you, as well as giving you the fear that they might let go. The surly guitar riffs of 'Obstacle 1' and Say Hello To Angels' cut through the murky fog, creating a more upbeat ride and a clear link between Interpol and the sounds of bands like Wire and The Smiths. As the guitars flourish with every note that previously haunting voice seems to lose some of its bite. Interpol have emerged at time when reinventing the past is the new “it” thing. They take that 80s melodic, post-punk sound and make it feel renewed rather then rehashed. So be careful labeling Interpol as just another flash in that New York City pan, because that’s how fires start - when things get too hot and people aren’t paying attention.